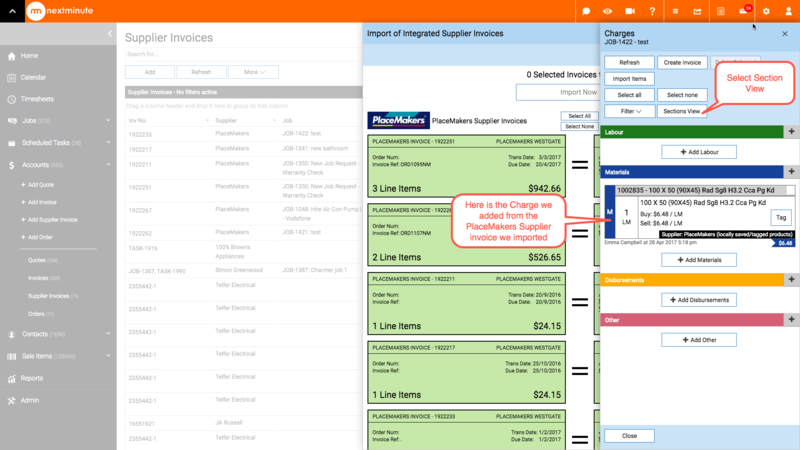 PlaceMakers Supplier Invoices - Create Actual Charges – Welcome to the NextMinute support and feedback centre. 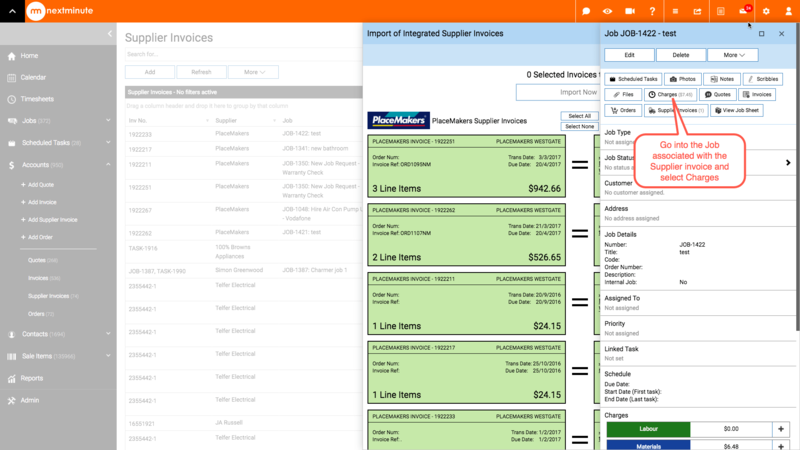 You have imported a PlaceMakers Supplier Invoice into NextMinute and selected to "Create Actual Charges" against the assigned Job or Task from the Supplier Invoice. We will show you where to find these Actual Charges you have created. 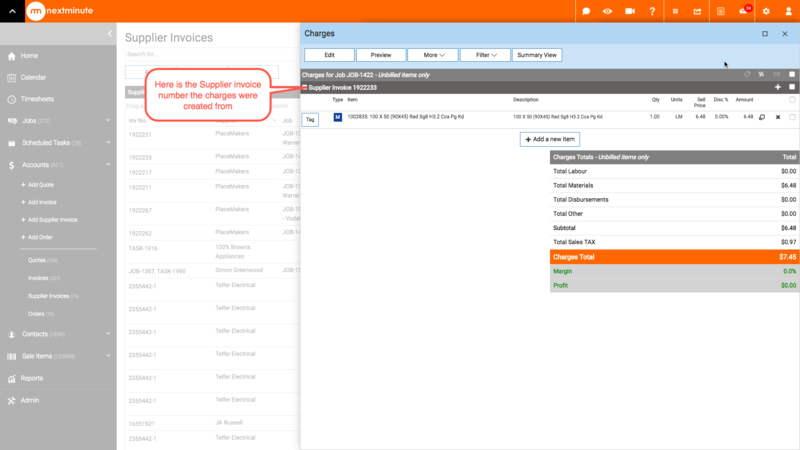 When you create Actual Charges via the Integrated Supplier Invoice import page, and go to charges section view, they will show as a section with the supplier invoice number, as shown below.